30 new entries added to milk slogans, that include pictures. 1. Are you lactating? Cows produce 90 per cent of the worlds milk needs. Cows milk was first drunk by humans 10,000 years ago in what is now Afghanistan and Iran. Rich in calcium, milk is recommended in order to combat a variety of conditions, including osteoporosis, which affects the bones of women, especially from a certain age onwards. Milk is known for its richness in calcium and thus its importance for your bones, but did you know that milk contains more than 9 other essential nutrients? It contains protein, carbohydrates, vitamins & minerals. Milk is not high in calories when its low fat or 0% fat. If youre on a diet, concentrate on lowering the amount of fat within your diet. So, dont remove milk totally from your diet, but choose low fat or 0% fat milk since it contains all the nutrients found in full cream milk except for the fat. It is important to know that not all milks are the same. Fortifying milk with vitamins and minerals is a very delicate process, and the quality and quantity of the added nutrients have a direct effect on health. 4 Drink well, live well. 5 Occupy milk! Drink the 1%! 6 Milk. Great for your health. 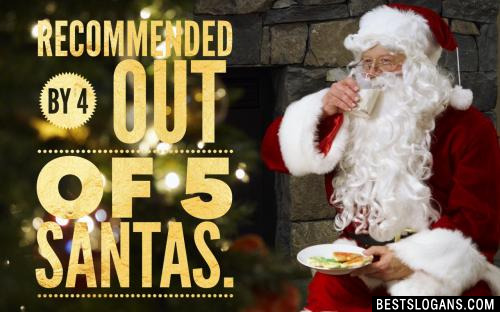 Recommended by 4 out of 5 Santas. 8 Tastes like real milk because it is. 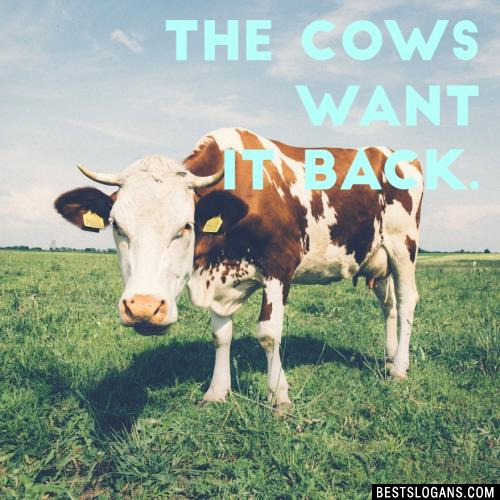 The cows want it back. 11 Two Servings A Day Keeps Bone Problems At Bay. 12 The Power Of Dairy Is Incredible! 13 Skim Milk Does Not Come From Skinny Cows. 15 Mirror Mirror On The Wall, Dairy Is The Fairest Of Them All! 18 Milk Looks Good On You. 19 Milk From Moo To You. 20 Have You Had Your Dairy Today? Can you think of a good Milk Slogans we're missing? Or come up with a clever one of your own. Please share below.